A teacher is found dead in a whiteout blizzard. If Chass doesn’t act fast, she could be next . 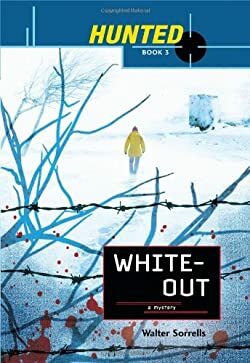 . .
Whiteout continues the story of Chastity, who has been on the run with her mother for as long as she can remember. Both have left San Francisco to escape to Greenville, Minnesota. Stumbling through a whiteout blizzard in Greenville, Minnesota, Chass trips over a dead body, and then sees a mysterious man disappear into the storm. When Chass figures out that her mother moved them to Kyle Van Epp’s hometown so they can find out more about him, she begins to look for some much-needed connections between her murdered band teacher, and the man she and her mother have been running from for most of Chass’s life. With her haunted past, Chass knows all about running from killers, and she is sure that Kyle Van Epps is back. But Chass is sick of running, and if she hopes to ever have a normal life again, she has only one choice: find the killer before the killer finds her.